Preparing for college is a goal that both you and your child need to work towards. It’s vital that you take an active role during this process, to ensure your child succeeds! Most high schools will focus on college prep, particularly during the past two years of school, but getting ready for college involves more than ensuring your child takes the right courses and fills out applications. Most college freshmen drop out of college simply because they were not prepared for college life and not just the increased level of academics, but living alone as well. For most students, this is the first time they will be living alone. This means that they need to become responsible and dependent upon themselves while they are in middle school and high school. This not only teaches responsibility throughout high school, but will prepare them for living on their own at college. Time management is one area that ends up haunting students in college and this issue can be prevented if they are taught good time management habits while in high school. Finances are another area of concern for students going to college. Teaching your child how to manage their money and set a budget early in high school is important. Most high school students will begin a summer job or part-time job at some point in their high school career. This is the perfect opportunity for you to get your child a checking account and teach them how to make smart financial decisions. Students should also be taught about credit card debt early. According to Bankrate, the average undergraduate carries $2,200 in credit card debt. If your student must have a credit card, it is vitally important that you teach them to pay off the card each month and to only use it in emergency situations. The longer they wait to pay a credit card bill the deeper in debt they will get, particularly due to their high interest rates and fees. Financial aid is also a step in college preparation that both the student and parents need to be aware of. You can apply for federal student aid as early as January 1st, prior to starting college in August. Keep in mind, the absolute last day that you can turn in the FAFSA for federal aid is June 30th .In order to apply, you will need to have your income taxes completed prior to filling out the application. It is vitally important that both the student and parents complete their income taxes as early as possible to ensure that they can send in the FAFSA (Free Application for Federal Student Aid) as early as possible. The earlier you send it in, the earlier you will be able to determine if you'll receive federal aid, school assistance, scholarships and how much you qualify for in student loans. The FAFSA can also be filed online at www.fafsa.ed.gov. Finally, scholarship applications can be sent into schools and other organizations a year to six months prior to school beginning. Most colleges have an early scholarship application deadline. This deadline is generally around February 1st prior to the fall semester beginning. 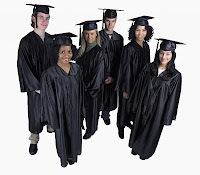 Search for scholarships online as well as locally from various organizations in your community. Many corporations also offer scholarships to students of employees and it is important that you look into those as well, if they are available. Following these simple steps, you will be able to prepare your child for college and set them up for success, not only financially but also teach them the life skills they will need for when they are on their own at college!